Employees at our Catawba, South Carolina paper mill have been abuzz with excitement since the launch of the first Little Free Library! A Little Free Library is a public station stocked with a variety of books available for borrowing at no charge. 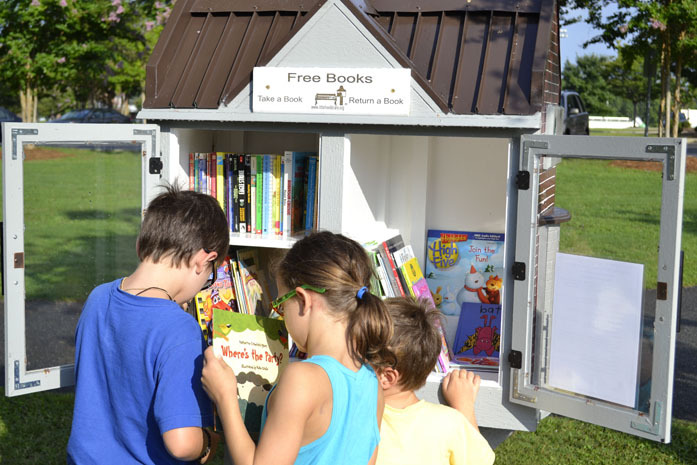 The goal of the Little Free Libraries is to bring the joy and power of reading to community members of all ages. Visitors to the Little Free Libraries can peruse the books and take home one that catches their eye – and if they have books at home that are ready to be enjoyed by someone else, they can bring those back to the Library. 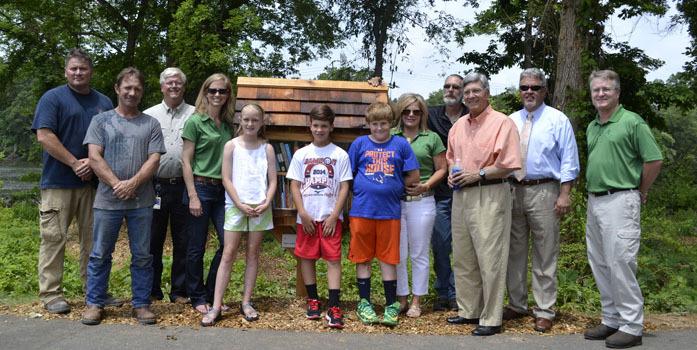 Little Free Libraries are part of an initiative by the City of Rock Hill, South Carolina, called “Rock Hill Reads”. Resolute employees worked with the city to pick the best spots for Libraries to be installed. The first one was set up earlier this year at Riverwalk Park, along a running trail visited by 10,000 walkers and runners each month. The Library proved to be such a hit that a second location was set up at a playground and softball field in Cherry Park, and the next one is planned for the soccer complex at Manchester Meadows. Resolute employees sign up to be stewards of the Libraries, visiting them each week to make sure they’re filled and ready for borrowing. Most of the books are donated by Resolute employees, but recently, when we were running low on children’s books, Winthrop University generously stepped up and donated several hundred from their recent Book-a-Rama book drive. Thanks, Winthrop! To learn more about Little Free Libraries and submit ideas for building one in your area, please visit littlefreelibrary.org. Are plans available for the Little Free Library you build at the a Rock Hill, South Carolina Riverwalk? My granddaughter has asked me to build that library for their neighborhood in Denver, North Carolina. Thank you.